The 5 Joomla sites listed below all deserve our attention. 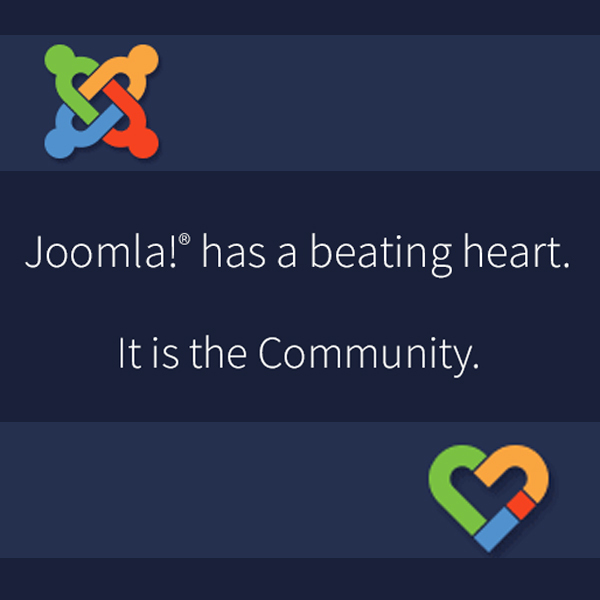 Not only do they demonstrate the true community essence of Joomla, but they also remind us of what an extraordinary achievement Joomla is, and invite us to become more actively involved in the projects ongoing development. The Joomla! Idea Pool (ideas.joomla.org) is a site where you can make suggestions for future Joomla features, and vote on suggestions already made. For experienced users this is a great way to further add to the Joomla project, enabling you to actively participate. Within the site you can search to see suggestions that have already been made, leave comments on those suggestions, and give up to 3 votes on each one. You only get a total of 10 votes. The reason for limiting the votes is intended to improve the overall quality of ideas. When, or if, a suggestion is implemented, then your votes are returned to you. I would assume that if an idea is eventually rejected as something that is never going to happen, then this would also result in having your votes returned. Although someone new to using Joomla may feel they do not have anything to contribute to the idea pool yet, there is still a benefit to visiting this site and taking a look around. Within the comment section for each idea you will find comments from experienced Joomlers about the suggestion, and how it compares to what is already available. Useful comments include recommended alternatives to features, as well as the negative aspects of some suggested third-party components, which, as a beginner, you may not have been aware of. Reading the comments of those with a great deal of experience and technical know-how can provide insight which you may not find elsewhere. Overall, this site is worth a regular visit. Even if you do not have any suggestions, the comments left by others are very instructive. JCM is currently undergoing a few changes. A redesign of the site is in the works, and, as of March 2016, the new issue will be out on the 5th of each month, as opposed to the end of each month. Featuring articles in English, French, German and Portuguese (Brazil), the magazine has a wide variety of interesting articles. There's a new regular column featuring a Joomler (Joomler in Focus), and it is also a great resource for finding out about some of the Joomla events around the world. Contributing authors are welcome, so it offers a great way for people to become more involved and share their experiences and insights. If you are new to Joomla, you might still consider contributing something to the magazine, after all, we are all beginners at some point, and your experiences may help someone else just starting out. Registration as an author is a simple case of filling out the form here and agreement to the author license agreement, which you can find here. 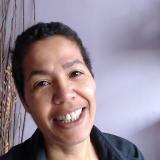 Feature Stories - Any subject of general interest to the Joomla! community. Joomla! Events/JUG – In depth report on an upcoming or recently completed Joomla! event, or on a Joomla! User Group (JUG) in your local area. Website Case Study - In depth reviews/analysis of Joomla! websites. Designer's Studio - Subjects of interest to website designers. Developer's Workbench - subjects of interest to website developers. Administrator's Tool Kit - subjects of interest to website administrators. Did you know...? - Using features or combination of features of Joomla! Joomla! extensions to innovate. Have you been using known or lesser known features on a project? Share with the community and inspire others! The Joomla! Volunteers Portal has a listing of over 1,000 Joomlers from across the globe, who are involved in the ongoing design, organisation, development and promotion of the project. The portal really does demonstrate the diversity and scope of the project. New volunteers are always welcome and there are many ways you can help out. There are currently 62 working groups looking after every conceivable area of the project including the extensions directory, event and conference organising, documentation, the legal aspects and much more. One such team is the Joomla! Resource Directory Team, which is responsible for the maintenance and development of the next site we will look at. The purpose of the JRD is to provide you with the information to locate professional service providers to help you achieve more with Joomla. The process of joining the directory is very thorough, and here at Build A Joomla Website, we are very proud to be listed in the Training & Education category. Much of the process to be listed is designed to ensure the integrity of the Joomla brand and includes questions about your company's use of the Joomla name and logo. The most important part of the application, however, centres around your involvement in the Joomla community. As stated earlier, Joomla is a project run solely by a volunteer community. And for the project to continue to thrive, more of us should consider getting involved. I estimate there to be less that 800 resources listed in the JRD, and, for a project that is driving millions of sites, that number does seem low. Quite rightly, it is not easy to get listed, and it is stated on the site that being listed is a privilege, not a right. However, even if your application is rejected, you can reapply every 30 days, and, if you are serious about being recognised as a Joomla expert, it would be well worth the effort of striving to develop your business into an enterprise that is worthy of being listed. Although not an official site of the Joomla project, joomlagov.info is still an interesting site to visit. Listing over 3324 known Joomla government sites, the information presented could be helpful if you are looking to promote your services to official organisations or government departments, or if you would like to demonstrate the integrity of the Joomla project to potential clients. When introducing people to Joomla for the first time, there is often some uncertainty about the security and worthiness of 'free' software, and some discussion about the concept of Open Source. Being able to demonstrate such a large volume of official government sites using Joomla will go a long way to alleviating any concerns your clients may have. The site can be searched by viewing the world map, selecting from a list of 204 countries, or by searching multinational organisations, such as the European Union, United Nations and World Health Organisation. You can also submit a site for inclusion in the directory. If you are an active member of the Joomla community I would be interested to hear your thoughts and recommendations for less active members, like me! How did you get involved and how much time do you spend? I have to be honest, I don't know if it is because I stumbled into Joomla ten years ago, from a non-technical background, or because I spend too much time focused on trying to figure out the job in hand, instead of how the tools I am using came to be, but I have been working, up till now, largely unaware of what Joomla really is. I don't mean from a software perspective. I am fully aware of how brilliant a tool it is and how much it has to offer small businesses in terms of levelling the playing field. But, I view the project from a distance, in its entirety, without ever getting up-close enough to appreciate that it is, in fact, constructed from/by thousands of individuals, all pouring time, energy and passion into making the whole. A banner on the Joomla! Volunteers Portal reads, “Joomla! has a beating heart. It is the community.” Up till now, I really had not fully appreciated that, and I suspect I am not alone. Ohanah - Event & Ticketing made really easy! Is Joomla about to fall off a cliff?